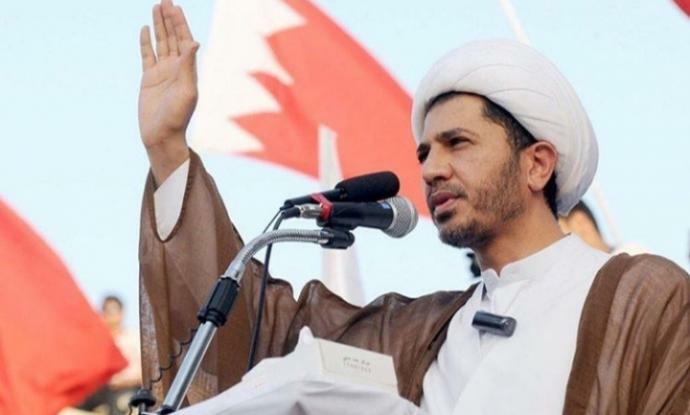 The Coalition of 14 February youth revolution has condemned the ruling issued by al-Khalifa entity lawless judiciary against the Secretary-General of the Islamic National Accord Society Sheikh Ali Salman and the leaders Sheikh Hassan Sultan and Ali al-Aswad for life imprisonment on charge of a so-called "communication with Qatar". In a statement issued on Sunday November 4, 2018, it said that this day is a new black day in the history of justice under the rule of al-Khalifa tyrant, and this unjust rule confirms that the gang of al-Khalifies are no longer interested in the fate of the country's policy. They jumped heavily in the bosom of the Zionists and Al Saud, disregarding the independence of the homeland and its sovereignty. It uses its sectarian and politicized judiciary as means of political revenge against a national symbol who keens on the rights of citizens and the future of the country. The coalition has stated that this verdict is unfair and issued by a lawless court, violating the spirit of law and justice, a new crime against human justice, and the right of every individual in Bahrain to believe in the demands of the people and their right to self-determination. It sent a letter to the regime's head called Hamad and his gang of the corrupt al-Khalifies as saying that "Sheikh Ali Salman and thousands of those who believe in their cause will not be deterred by these unjust sentences and years of imprisonment for continuing the revolutionary movement that began decades ago and came into force in Feb.14, 2011". The Coalition stressed that these unfair rules strengthen the option of boycotting the elections of al-Khalifa gang, and show the right to sign the Popular Petition is expected to put forward and the election of a new constitutional council and works to draft a new constitution for the country. The revolution will continue to achieve its legitimate goals to extract the Bahrainis inherent right to self-determination, it concluded.